Dear friends, followers and readers, as we approach the end of another year, I want to thank you all for your continued support of my blog. What started a little under a year ago as an avenue to showcase my recipes and Sunday outfits is growing on me and I am truly, truly having a ball. You all have been absolutely fantastic and your kind comments have encouraged me to go on. Within this short period, I have grown so much. Writing this blog has increased my confidence and my style has definitely evolved. I have always loved fashion and style, and I use to get comments here and there about my outfits, however now I am more conscious of how I dress. If you are looking to rework your wardrobe then blogging is the way to go and within a year or so, you will look back and be glad you did. Blogging is hard work especially with full time work and study but its so much fun, I do not see myself stopping anytime soon. I have made so many online friends, its amazing. People that I have never met and probably will never meet in person, however it feels as if I have been on a journey with them. I have cried for people that were sick, felt bad for those that lost pets and laughed out loud with the crazy and exceptionally funny ones. You made me feel very special when I learnt that some of you were wondering where I was when I returned from Ghana because I had not posted for a month. I am still very touched and it gives me great joy that people are still concerned and care about others. One thing I can honestly say is that in this very big blogging world/jungle, there are a lot of helpful people who have been doing this for a long time and they are always ready to help other newbie bloggers like myself. 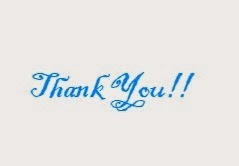 Once again many thanks to all those who have followed on and commented on my posts. Special thanks to the lovely ladies that do linkup parties, you guys rock!!! Those that have tried my recipes, I hope you liked them. Enjoy the rest of your holidays and stay safe. Please remember Sierra Leone and other countries that have been affected by the Ebola outbreak in your prayers. Thank You, Thank You, Thank You! Happy prosperous new year to you and families. Thanks for your bloggy friendship and look forward to more. . . . . Happy 2015 to you & yours! You are such a beauty, Elsie! Thank YOU for being such a great blogging friend, and for all of your fun and exotic, very striking outfits (this one is just gorgeous!!) and kind warm spirit. I so agree with you about blogging! Happy New Year to you and your family and friends back in your home country!